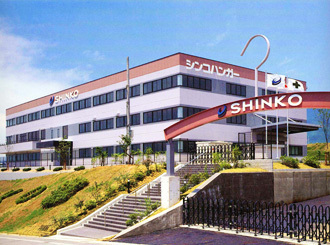 SHINKO HANGER has made continuous efforts in the business of hangers, as shown by the company name, for 60 decades. While the main material has changed from wood to plastic in the meantime, we have single-mindedly sought hangers that fit clothes so as to keep their shape better, and have high storage performance. Hangers, which were formerly regarded as something not to buy yourself, but to be given for free, have started to garner attention as an indispensable item of fashion and interiors these days. Hangers transformed from being mere items to essential items due to the recognition of their importance. To cope with increasingly diversifying needs and wants of people, SHINKO HANGER is supplying original, one-of-a-kind products from the viewpoint of fancy storage goods without sticking with the company name SHINKO HANGER is supplying original, one-of-a-kind products from the viewpoint of fancy storage goods without sticking with the company name SHINKO HANGER from out Gojo Factory in Techno Park Nara. We will keep improving our products so that we can satisfy our customers. While observing our founder's motto of “sincerity and trust,” we aspire to become a corporation that is trusted as a good sincere partner to our customers, and one that contributes to society. From product development, marketing, sales and manufacture, all completed by our company. Head office, Tokyo office and Gojo Factory is linked up itmacy to provide the best idea and suggestion to our customers. Our company deals in over 1000 items as a hanger manufacturer. Hangers vary in their demanded functions, design and materials depending on the target or sales channel of a particular time. To meet these demands, the showroom"LABO" makes proposals using orginal store fixtures tailored to the available floor space of sales channels from large volume retailers, department stores and do-it-yourself centers to the mail-order business. In addition, we offer spacious room at our business talk corner, so that we can invite our customers to exchenge real time information. 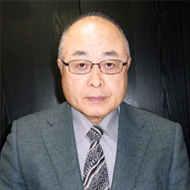 The Gojo Factory was cmpleted in 1993 on a site at Techno Park Nara. We have succeeded in strengthening productivity and upgrading the distribution center. Production control for adjusting the balance between demand and supply. Quality control through close checking of each production process and finished produt. To attain highly efficient production system, state-of-the-art equipment has been introduced. We have employed an online system so that departments linked by a well-developed information network can accurately, promptly and smoothly manage operations of the distribution system.